We are excited to announce the launch of http://www.deyoungcpa.com. Caitlin came to us looking for assistance finishing out her logo in addition to creating a web presence. She had a strong vision in mind that had not been executed clearly by a previous designer, but we were able to work together to create something that feels right and conveys her brand’s image clearly. The logo features an abacus in shades of orange and grey, tying in the ideas of tradition and mathematical computation. Grey stabilizes the logo, providing a solid base for the eye catching orange – a perfect complement to the most commonly used business logo color which is blue. Every business needs the complement of an accountant to balance the scales and keep them running profitably. Font choice is clean and modern with very traditional letter shapes. Her website maintains the color scheme with orange as the action and eye catch focus color used throughout. 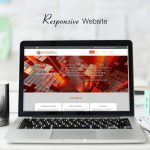 It was most important to our client that the site be simple and clear with the ability to follow through by email or phone from the page itself. 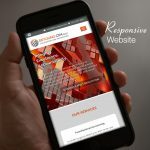 We delivered a responsive website with contact form and service information that the client can keep informationally up-to-date without difficulty.